Beggars All: Reformation And Apologetics: Who were Some Of The Best Scholars at Trent, And What Did They Think Of The Apocrypha? Who were Some Of The Best Scholars at Trent, And What Did They Think Of The Apocrypha? 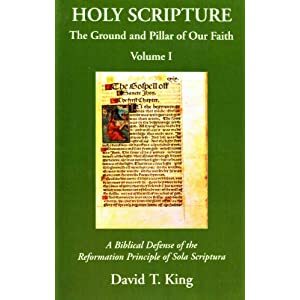 We all know that the Council of Trent made the official pronouncement on the Canon of Sacred Scripture, and in that pronouncement determinded, once and for all, that the apocryphal books were indeed Sacred Scripture (for Roman Catholics). I’ve always wondered though, what criteria the Council of Trent used to determine which books of the Bible were canonical. Some of the answers I’ve been given are: Trent did not determine the canon, they simply reaffirmed the canon; and: The Holy Spirit determined the outcome of Trent by His presence among this infallible council. For my response to the first answer, I would direct the interested reader to my link here. I’d like to take a look at the second answer. Now, is the Holy Spirit another way of saying “the majority vote”? If so, where does this precedent come from? Does “the majority vote” go against the opinions of the best scholars at the Council of Trent? What if those who were considered some of the best scholars on the canon at the Council of Trent thought the apocryphal books were not Scripture? Well, this was the situation. There was a group of scholars at the Council of Trent that were considered fairly knowledgeable on this issue. One particular was Cardinal Seripando. The Roman Catholic historian (and expert on Trent) Hubert Jedin explained “…[H]e was aligned with the leaders of a minority that was outstanding for its theological scholarship” at the Council of Trent. “For the last time [Seripando] expressed his doubts [to the Council of Trent] about accepting the deuterocanonical books into the canon of faith. Together with the apostolic traditions the so-called apostolic canons were being accepted, and the eighty-fifth canon listed the Book of Sirach (Ecclesiasticus) as non-canonical. Now, he said, it would be contradictory to accept, on the one hand, the apostolic traditions as the foundation of faith and, on the other, to directly reject one of them.” Hubert Jedin, Papal Legate At The Council Of Trent (St Louis: B. Herder Book Co., 1947), 278. “In his opposition to accepting the Florentine canon and the equalization of traditions with Holy Scripture, Seripando did not stand alone. In the particular congregation of March 23, the learned Dominican Bishop Bertano of Fano had already expressed the view that Holy Scripture possessed greater authority than the traditions because the Scriptures were unchangeable; that only offenders against the biblical canon should come under the anathema, not those who deny the principle of tradition; that it would be unfortunate if the Council limited itself to the apostolic canons, because the Protestants would say that the abrogation of some of these traditions was arbitrary and represented an abuse… Another determined opponent of putting traditions on a par with Holy Scripture, as well as the anathema, was the Dominican Nacchianti. The Servite general defended the view that all the evangelical truths were contained in the Bible, and he subscribed to the canon of St. Jerome, as did also Madruzzo and Fonseca on April 1. While Seripando abandoned his view as a lost cause, Madruzzo, the Carmelite general, and the Bishop of Agde stood for the limited canon, and the bishops of Castellamare and Caorle urged the related motion to place the books of Judith, Baruch, and Machabees in the "canon ecclesiae." From all this it is evident that Seripando was by no means alone in his views. In his battle for the canon of St. Jerome and against the anathema and the parity of traditions with Holy Scripture, he was aligned with the leaders of a minority that was outstanding for its theological scholarship.” Hubert Jedin, Papal Legate At The Council Of Trent (St Louis: B. Herder Book Co., 1947), 281-282. I think it is significant that the reasons for the Apocrypha being accepted had less to do withthe evidence than modern Catholics might liek to think. I mean, we all know (or should know) that Trent was a fundamentally reactionary Council. It was created in response and inreaction to the Reformation. It should be expected that this concern woul show itself in the form of biased approaches to particular topics, like authority and the canon. What always speaks volumes to me is that Trent had to define a canon to begin with. We're talking some 1,500 years into Christendom and others within the Church, such as Cardinal Seripando and his group, were still claiming that these books didn't belong. Parallel this to the Catholics who claim that a decision was made back in the 4th century by the African synods. It sure seems that Seripando and the boys and others, such as Cardinals Cajetan and Ximenes, knew this decision wasn't binding and didn't feel they needed to follow this "judgment of the churches."